A group of runners take off in the annual Dirty Dog Mud Run fundraiser Sunday morning held at Thomas College in Waterville. 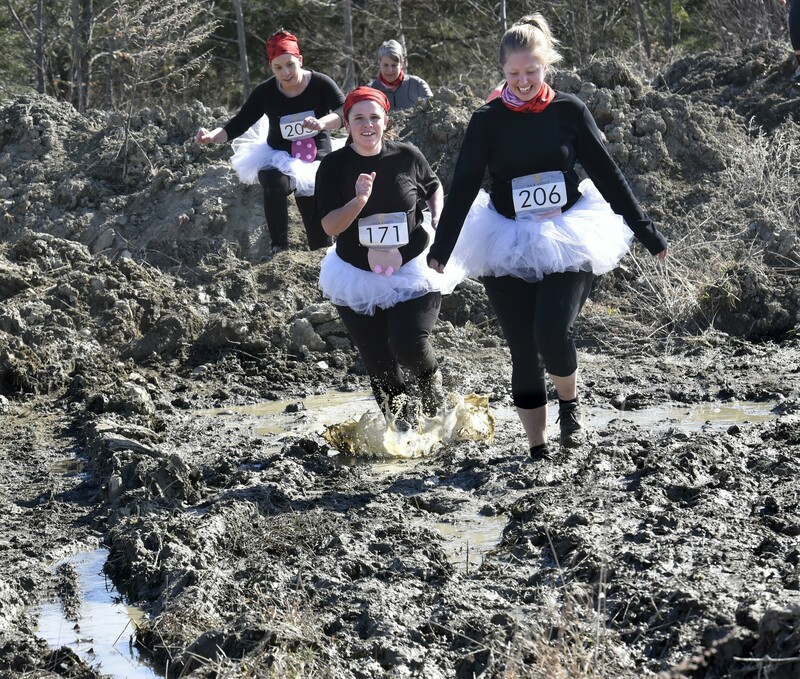 Dressed in delicate tutus, members of the Muddy Udders group splash their way through the course Sunday morning during the annual Dirty Dog Mud Run fundraiser held at Thomas College in Waterville. From left are Ashley Robbins, Katie Emerson and Kayla Heal. 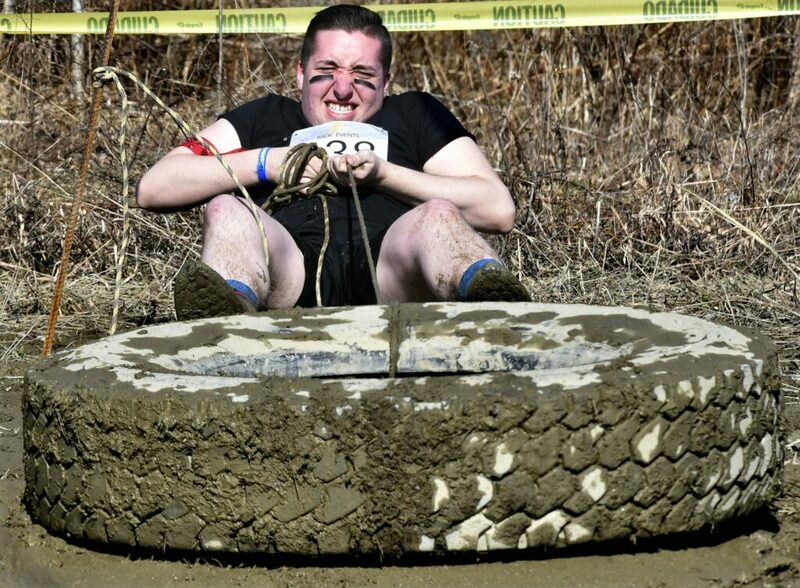 Kyle Greene pulls a heavy tire with all his might in the mud Sunday morning during the annual Dirty Dog Mud Run fundraiser held at Thomas College in Waterville. 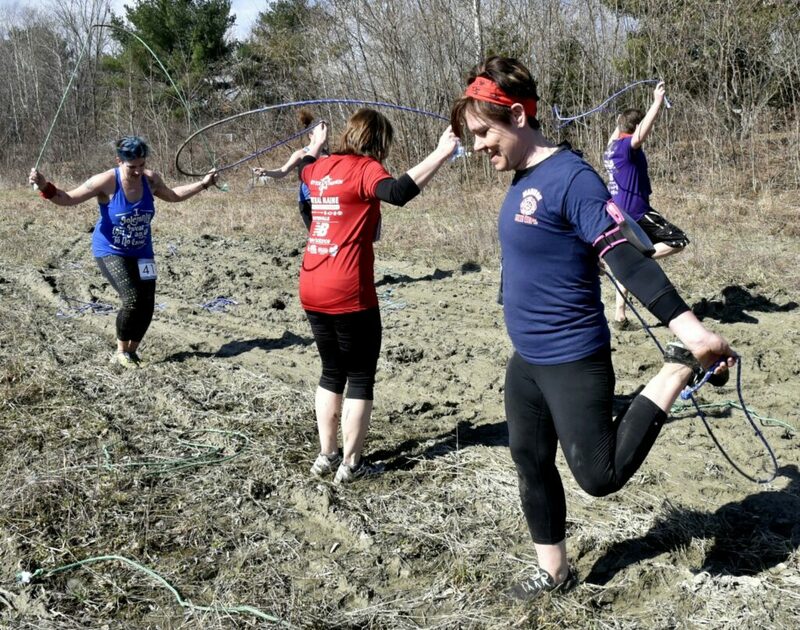 Vicki Bosworth, right, of the Madison fire department auxiliary, and others jump rope as part of the annual Dirty Dog Mud Run fundraiser held Sunday morning at Thomas College in Waterville. 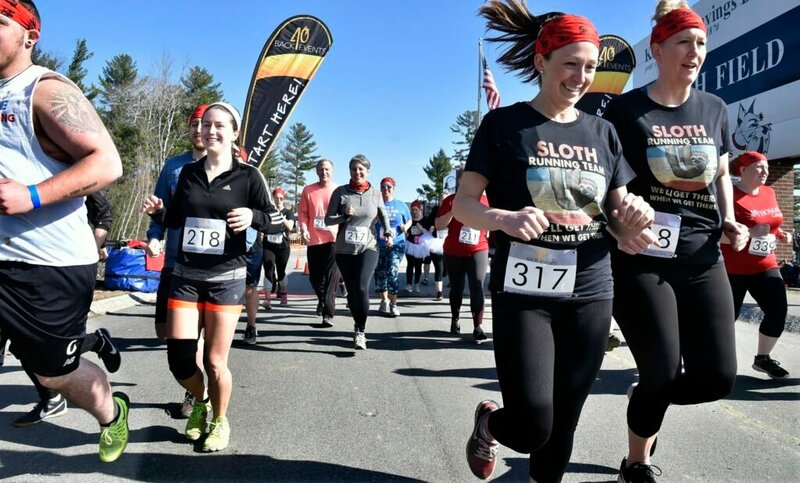 Two competitors decide they're not muddy enough and wrestle during an obstacle race Sunday morning in the annual Dirty Dog Mud Run fundraiser held at Thomas College in Waterville. 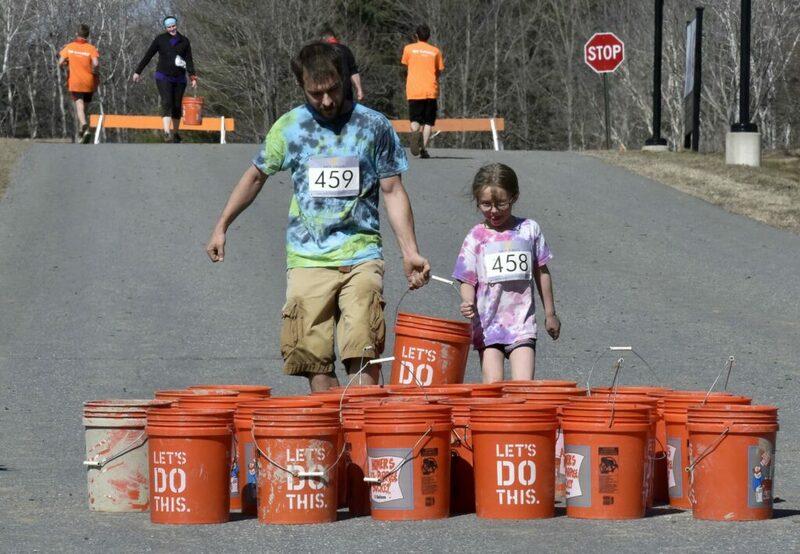 Participants had to carry heavy buckets over a distance Sunday morning during the annual Dirty Dog Mud Run fundraiser held at Thomas College in Waterville.